Bryan Cranston has had an amazing few years to say the least! "Breaking Bad" was one of those television shows where people made watching it a weekly event and the end of the series left die hard fans "fiending"for more. 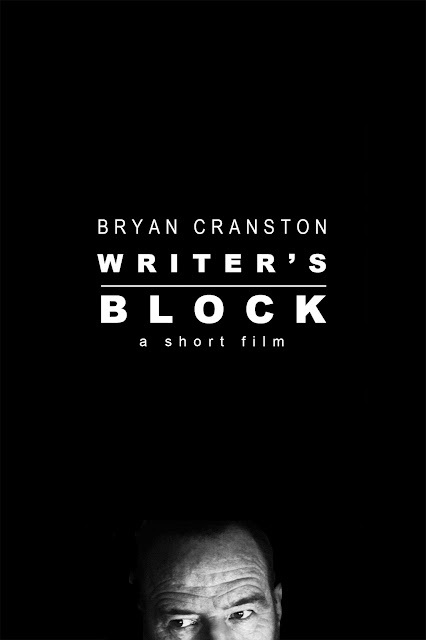 Luckily Mr. Cranston's career is going strong and coming soon you will be able to get your Cranston fix when the short film that he starred in "Writer's Block" goes up on iTunes. Writer's Block is a movie that was created during the production of another film that Bryan was working on. Cranston created a contest among the film's PA's where they would present him with script for a short film. The winner would have the chance to make the film with Cranston in it during the days off from the original movie project. 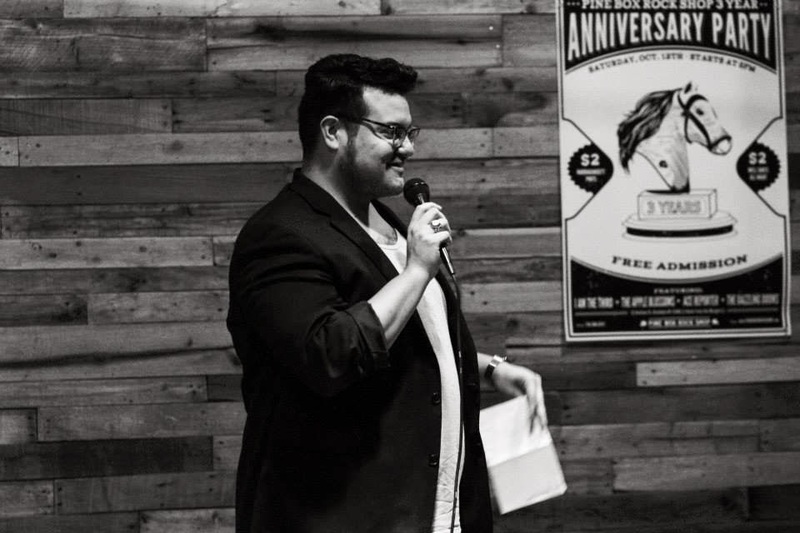 The winning script that was chosen belonged to Texas native and Astoria, Queens resident Brandon Polanco. There would only be three hours preparation before principal photography on the short film began that afternoon. This brings us to the Sunday after the highly anticipated series finale of "Breaking Bad" took place where I got to host the premiere of "Writer's Block" in front of a room filled to the brim with Bryan Cranston and film fans alike. 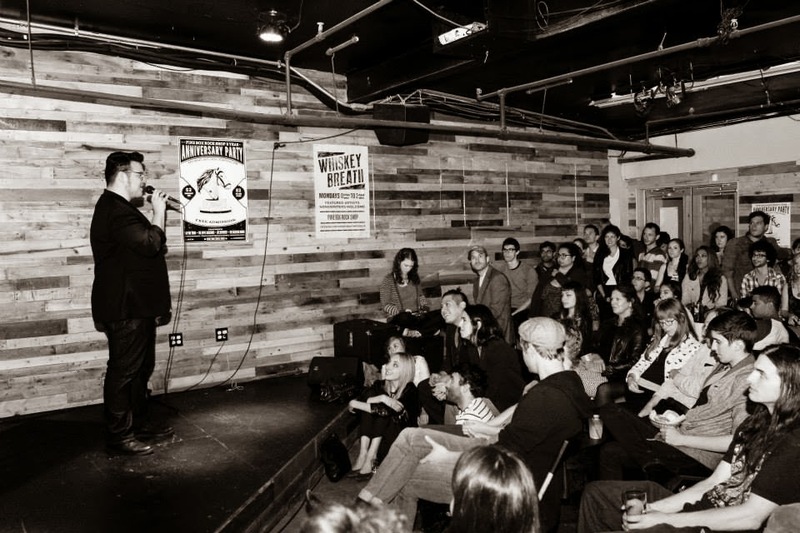 Pine Box Rock Shop in Brooklyn hosted weekly "Breaking Bad" viewing parties that were packed with people so this was the perfect location for Brandon Polanco to host the premiere of his movie. 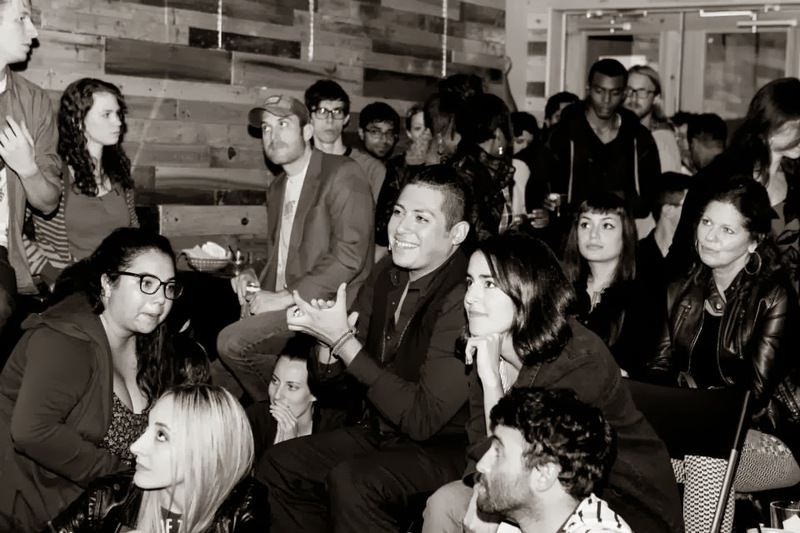 Just as he suspected, crowds of Bryan Cranston fans that needed another week's fix came to PBRS to check out the film along with a few other short films, web series and creative projects from Polanco's creative batch of friend and colleagues. 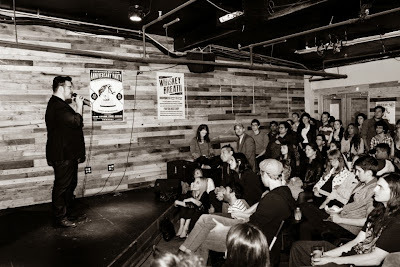 Check out some photos from that night below! Just throwing out some jokes and warming up the crowd in-between features. Such a fun night! A snap of me with Brandon Polanco, the crew of "Writer's Block" and Bryan Cranston's costar in the film, Lela Edgar. (Check out her Blackbook interview about the film here). I had a blast hosting the premiere of "Writer's Block" starring Bryan Cranston! Thanks so much to Brandon Polanco for asking me to be apart of this event! Congrats and good luck with the iTunes launch!